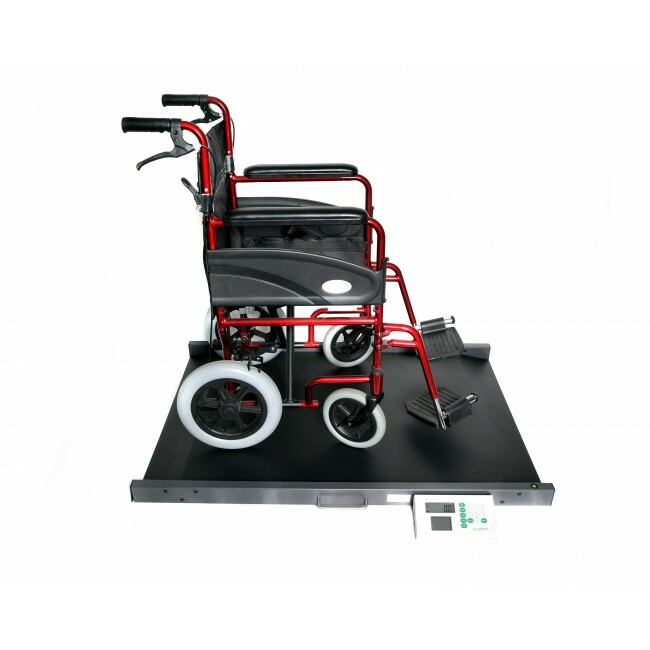 The wheelchair scale has a tare or pre-set tare so that the weight of the wheelchair is deducted before weighing the patient. 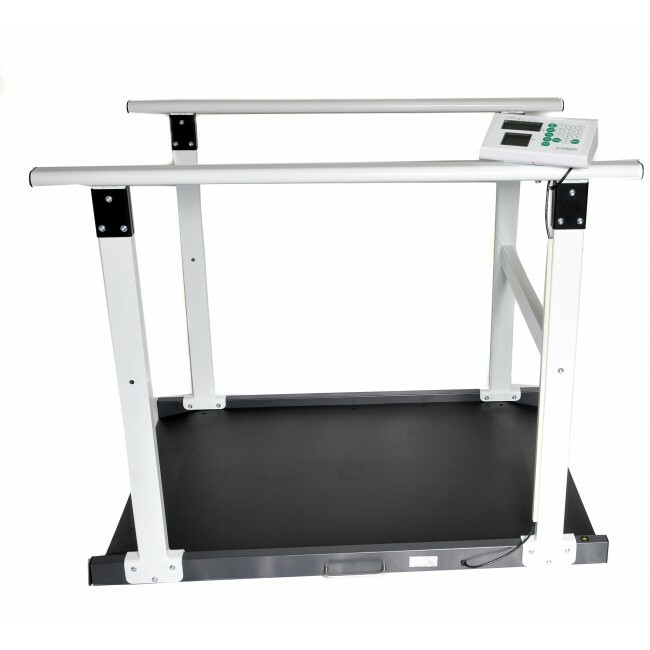 The weighing platform weighs up to 300kg in 100g increments and has a rechargeable battery offering over 40 hours of continuous use. 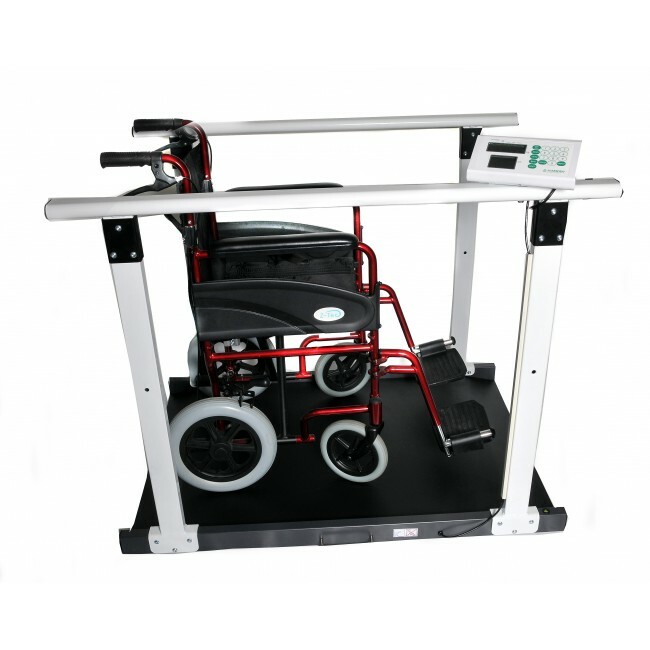 The wheelchair scale offers the option of Bluetooth to send weight, BMI, time and date to data collection points in hospitals or care homes. It comes with easy to fit handrails which can be used by bariatric patients or those unsteady on their feet.